In the final episode of AMC’s advertising reality show “The Pitch”, Bandujo and Jones Advertising showed why they are successful, award-winning agencies. Two radically different approaches. Mark Jones knew what he wanted and went for it. Jose Bandujo knew what he didn’t want and looked for the answer. One concept was smooth and laid back. The other was bold and in your face. At AMCP, we’ve seen Jones’ and Bandujo’s exceptional work for years. Both agencies have earned numerous awards from us for a wide range of creative work. The quality of Jones’ television spot for Marriott was terrific, especially on such short notice. But it wasn’t surprising. Jones has received top scores from us on web spots for the likes of Diet Coke and Microsoft. Bandujo’s pitch featured thumping music, brash design and attention grabbing colors. We had seen that bold approach from them in viewbooks and magazine entries. Showing the artwork in Bandujo’s home was an interesting insight into his creative likes and influences. From a production standpoint, the best part of the show was undoubtedly the introduction to Jones Advertising. 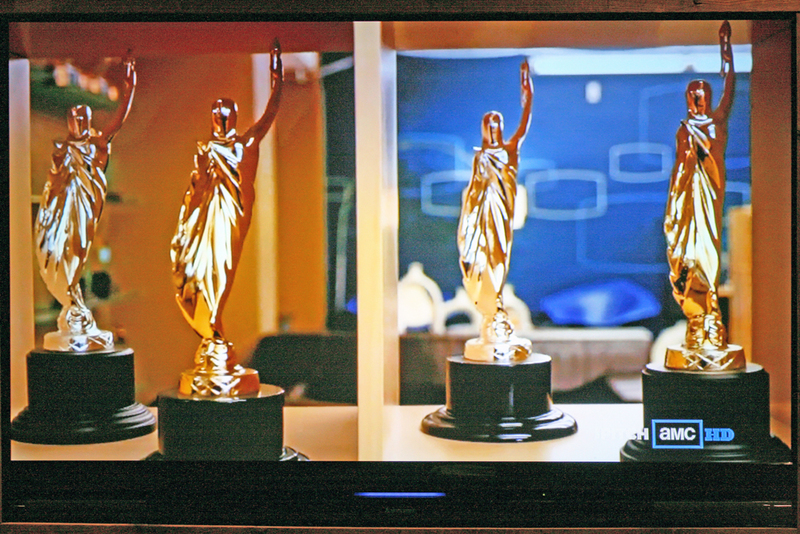 In the opening scene, the producers established Jones’ credibility by tastefully introducing the office with a shot through a number of MarCom statuettes. However, there was a glaring deficiency on the Bandujo segment when the producers inexplicably let the viewers down by not including shots of Bandujo’s MarComs. Maybe they were sending us a message about product placement. The first time is free… but to see them again, you have to pay. If you haven’t seen “The Pitch”, it is on the AMC cable channel. The season is over, but you can still catch reruns. It was fun for us to see “The Pitch” not only because of the subject matter, but of the 15 agencies that were featured, about half of them were AMCP entrants and several of the shows included shots of our statuettes. MarCom Awards are now accepting submissions from individuals, companies and organizations involved in producing marketing and communication materials for external or internal audiences. Submissions must have been produced after January 1, 2009. The submission deadline is Sept. 10, 2010. Additional information, including printable submission forms, are available at www.marcomawards.com.